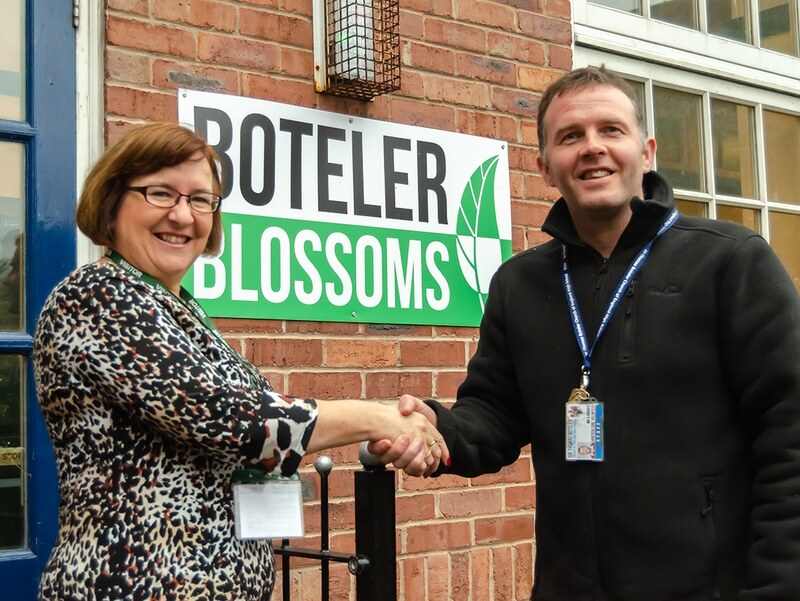 Today saw the grand opening of Sir Thomas Boteler Church of England High School’s garden: Boteler Blossoms. In the summer, a Sellafield workforce of 80 employees came together to update the school’s outside learning area. Assistant Headteacher Mrs Anna Mawby commented “the transformation is incredible and we really value Sellafield’s input into our school. Curriculum projects can now take place and all our learners can access the garden. This transformation allows are students to continue to give back to our community.” The opening was attended by Sellafield’s Community Liaison Officer Pauline Deans, and Andy Barber from Eden Gardens. Andy volunteers with the school’s Designated Provision students in the garden every week.